Auburn University is exceptional because of its exceptional people. The Office of Inclusion and Diversity aims to provide opportunities for engagement that facilitate community, understanding and belonging. We accomplish this goal through building individual and institutional capacity to achieve excellence, fostering inclusiveness, and advancing equity. Our work is amplified through the support of all of our partners and friends. This page is replete with opportunities for involvement including campus conversations, cultural celebrations and other events within the Office of Inclusion and Diversity. For more information, contact Dr. Timothy Fair (tfair@auburn.edu). 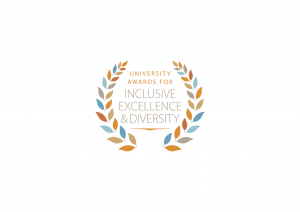 The University Awards for Inclusive Excellence and Diversity seek to recognize exceptional contributions that help advance the work of diversity and enhance a culture of inclusion at Auburn. Award winners will have demonstrated a record of developing and implementing effective methods in support of institutional diversity and inclusion and possess practical knowledge of cultural intelligence and humility.